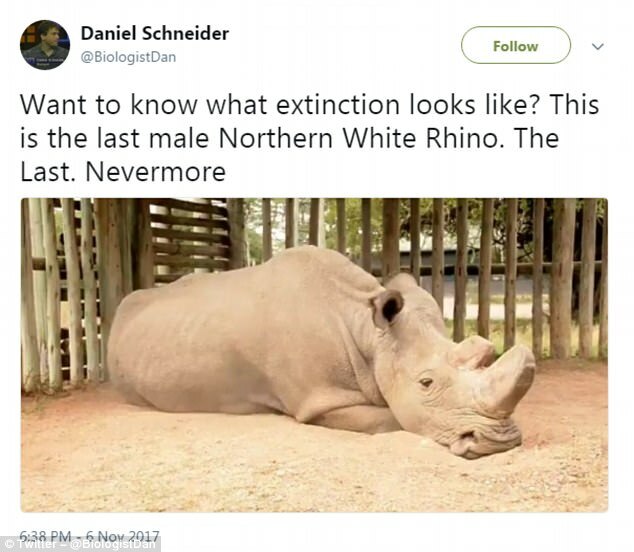 Currently, there are only 3 Northern White Rhinos left in the wild in the entire World. It is considered virtually extinct. 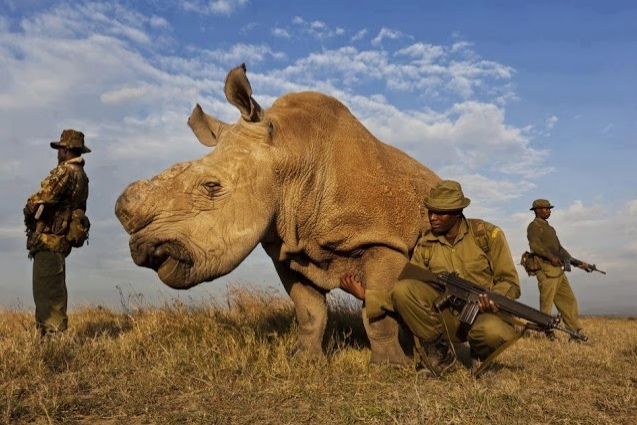 In in Ol Pejeta Conservancy in Kenya anti-poaching rangers who are armed and ordered to shoot to kill are standing guard over these remaining few white rhinos. 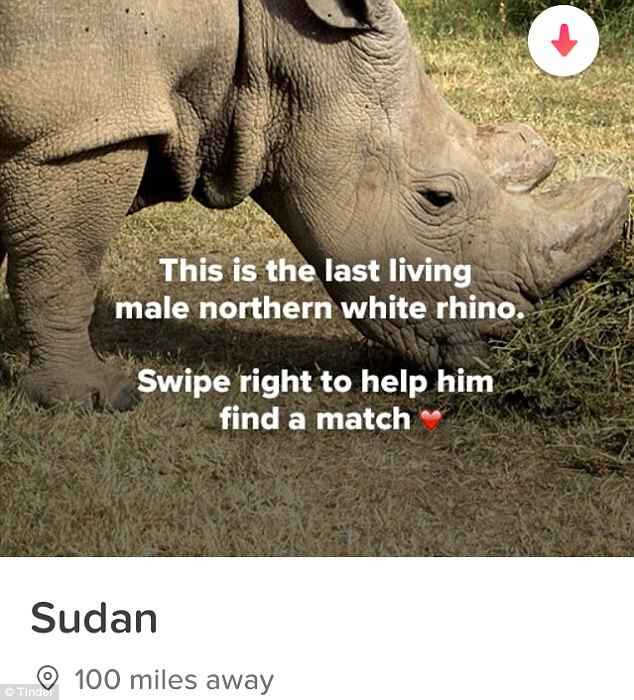 In April, Ol Pejeta Conservancy posted an advert of Sudan on Tinder in the hopes of raising awareness about the near-extinction of the species. Sudan's profile told a bit of background information about the rhino, explaining that he's the last male white rhino on Earth. And, when users swiped right and 'Matched' with the animal, they were directed toward a page where they could make a donation. A team of four fantastic men anti-poaching permanently protects a Northern white rhino (cottoni simum) in Ol Pejeta Conservancy in Kenya. Photo by Brent Stirton. 'I don't mean to be too forward, but the fate of the species literally depends on me,' the Tinder profile says. Responses to "A team of four fantastic men anti-poaching permanently protects white rhino"